The shop will close at 4pm Saturday May 29th, remain closed on Sunday and Monday (our regular day closed) and reopen 10am Tuesday June 1st. We wish all a safe and relaxing weekend. I plan to work in my garden, perhaps harvest some mints – have planted every kind I could find – peppermint, spearmint, apple mint, lemon mint, chocolate mint and pineapple mint. Hope to find an orange mint next time I go to the plant store. This is the first season of the garden at the new location and after much hard work the garden shed is up and setup with drying racks, the brick patio is laid and the garden cultivated and planted. 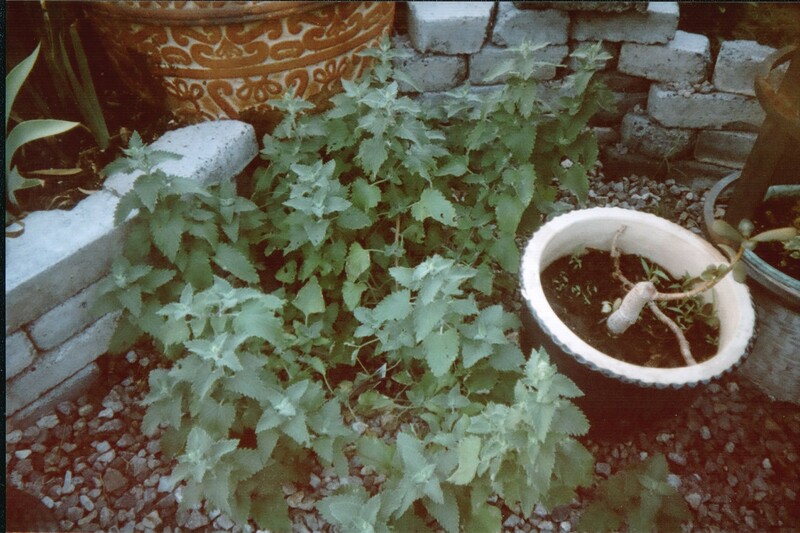 Most of the mints are in pots so they won’t overrun their neighbors, growing fast and will be giving up a small harvest this year. All mints are so useful in teas, incense blends, and oils. Products using my home grown mints will be available sometime in July. Pluma has 4 catnip plants; he’s been sampling the product and approved of it, and will share with others as soon as I harvest, dry and crochet it into toys. Most likely will be in the shop by mid June.